The socket of the eye is where the eyes are placed. The socket surrounds the eyes and performs more functions than just keeping the eye in its place. The socket of the eye consists of the blood vessels, nerves and muscles which are required for the proper functioning and movement of the eyes. The eye socket also is the anchoring point for the lacrimal system which plays a very important role in lubrication of the eyes. The periphery of the socket is made of thick bones but very thin bones form the floor of the socket. Surgery of the socket may become necessary due to a number of reasons. One of the primary reasons for socket surgery is fractures of the socket. Apart from fractures of the socket, other reasons for socket surgery may include tumors of the socket, tumors in the lacrimal system, infection of the socket and inflammation. Socket surgery also becomes important after Grave’s thyroid eye disease. In most cases, the socket surgery is best performed by an oculoplastic surgeon who is distinctly qualified for performing surgery of the socket area and other structures in the socket. The surgery of the socket is considered to one of the most delicate surgeries. The outcome that will be expected from a socket surgery will completely depend upon the reason because of which the socket surgery is being performed. Eye socket surgery restores the function and rehabilitates the aesthetic s of the eyes by repair of soft tissues and bones of the socket. In some cases, a prosthetic eye may need to be fitted after the socket surgery, so before that can be done, a reconstructive socket surgery has to be performed. To restore the function of the eyes in the best possible manner. To prevent any damage to the vision. To repair any abnormality of the socket or the eyelids. Evisceration: – An evisceration of the eye is performed in cases where the patient has lost the vision in the eye or the diseased eye is causing extreme pain. In evisceration involves removal of the eye and ocular constituents but the shell of the eye which is known as the sclera is left behind. After an evisceration, a prosthetic eye may be fitted in the socket. Enucleation: – An enucleation is mostly performed in cases where the patient is suffering from intraocular tumors. During enucleation the eyeball is completely removed. The ocular muscles remain intact after the enucleation. Reconstruction of the eye socket becomes mandatory after a socket surgery has been performed. Evisceration and enucleation cause volume loss in the socket along with disfigurement of the ocular area. Because of the loss of tissue volume in the socket the eyelids also lose their contours and position. For replenishing the loss of volume in the socket, a dermis fat graft surgery may be performed which is done using the fat from the patient’s own body. Generally, the fat for dermis graft is taken from the buttocks of the patient. With a dermis fat graft surgery the normal depth of the fornix is also maintained and a good platform is prepared for the placement of a custom made ocular prosthetic eye. A custom made ocular prosthesis is made by taking an impression of the eye socket contours of the patient. Today, ocular prosthetics are absolutely natural looking and care is taken to match the prosthetic with patient’s natural eye color and eyelid contours. The prosthetic is customized so that it is comfortable and the movement of the prosthetic is also not restricted. A customized ocular prosthesis will be in perfect synchronization with contours of the eye socket in which enucleation has been performed. The cosmetic outcome of a customized ocular prosthetic is very favorable. A customized ocular prosthetic can be modified to accommodate for various conditions like ptosis and socket expansion. More realistic looking prosthetics are now being fabricated from advanced materials like heat- polymerized acrylic resin. The use of this resin gives more flexibility and more pleasing aesthetic outcome. Before the socket surgery, your surgeon will make a complete diagnosis of the socket. After diagnosing the exact problem in the socket, you will be communicated about the best options available for you and whether you really need a surgery. The socket surgery may take a few hours and can be complicated therefore you should the best surgeon and the top medical facility in India. One of the most common reasons of socket surgery is orbital fractures. Orbital fractures can be of direct type, indirect and rim fractures. Orbital fractures may call for a socket surgery. Most of the socket fractures occur due to high impact car accidents followed by sports injuries. Direct blunt trauma to the face may also cause socket fractures which mandate a socket surgery. Because of fractures of the socket, the bones of the orbit get cracked and the ocular muscles and nerves may get stuck in the socket fissures. This hampers the movement of the eyes in the socket and also can pose a danger to the vision of the patient. To prevent any possible permanent damage to the eyes and to eliminate the possibility of enucleation, socket surgery should be done on the patient. One of the top issues with socket surgery is that it is a very intricate surgery which requires great precision and skill. In most cases, even in the best hospitals of India, this surgery is performed by ophthalmic surgeons whereas it should ideally be performed by an oculoplastic surgeon who is the best qualified person for the job. In India, there are very few oculoplastic surgeons who have the appropriate credentials and qualification. One such oculoplastic surgeon in Mumbai is Dr. Debraj Shome who is one of the top and reputed surgeons of India. He is based in Mumbai since over a decade and has a successful medical practice in Mumbai. He is considered to be one of the best surgeons for socket surgery in India. One of the best things about Dr. Shome is that he has done his studies form some of the most prestigious institutions of India and the USA. 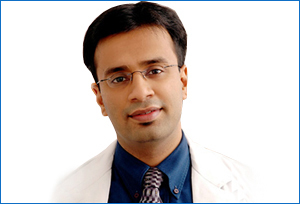 He is the best in his field and treats patients from all over India at his clinics in Mumbai. As a consultant to various top hospitals in Mumbai, he regularly performs surgery of the socket on a lot of patients suffering from cancers and other ailments. Mumbai sees a lot of patients from non metro cities and rural areas of India who come to Mumbai to get the best treatment and the top after care facilities. Mumbai is considered to be one of the best cities of India to get surgery of socket because of the medical facilities and super specialty hospitals. Dr. Shome has an enviable reputation in not only Mumbai but all over India and most of it is because of his impeccable record. At The Esthetic Clinics in Mumbai, reconstructive socket surgery is performed by Dr. Shome. Dr. Shome is the top expert and a super- specialist who is specifically trained for restoration surgery of the function and aesthetics of the socket. India is becoming a hub for various super- specialties with most developments being observed in Mumbai. A lot of credit for it can be given to Dr. Shome who travels extensively all over India to understand the needs of people and is trying to provide the best treatments in Mumbai. Even if you have the best surgeon for your socket surgery, you should consult Dr.Shome in Mumbai who has proved to be the best in India. The number of super specialist in India is increasing annually but still most of the super specialists prefer to work in metro cities like Mumbai. So in rest of India you may not get the best doctor. You can take online consultation from Dr. Shome in Mumbai.